I recognize it has been some weeks since I have been active on the blog. I am truly sorry about that. So many things have pressed in on my time and attention. In late August, I was determined to finish the final draft of my book, which will be coming out in the months ahead (more on that later). Then, Sharon and I hosted, along with Earl and Shirley Palmer, some 40 people to Oxford, England, to reflect in that wonderful setting on the life and work of C.S. Lewis. When you find yourself thinking you are going to lecture on C.S. Lewis alongside the incomparable Earl Palmer, believe me, you prepare. And so I spent much of my summer engaged in the delightful task of rereading the works of Lewis (perhaps more on that later too). And then, of course, there were all of the speeches and greetings for the beginning of the academic year at Seattle Pacific, which turned out to be one of the most exciting openings I have ever experienced. But now I want to return to the blog, and I do so with a head and heart full of so many things to share. I trust you will find some of this helpful. We were in England this summer just days before the visit of Pope Benedict XVI. A visit from the pope of the Roman Catholic Church to Anglican England does not happen often, and such a visit is always fraught with some measure of tension. These tensions, of course, go back to the early 16th century when King Henry VIII finally decided to unhook England from Rome. The king felt he needed, for a variety of complex reasons, to dump Catherine of Aragon so that he could marry Anne Boleyn, and the church declined his request to bless his annulment (see my accompanying notes on the fascinating new novel Wolf Hall). All of that intricate, tortured history, coupled with the subsequent secularization of culture in Britain, inevitably surrounds the visit of the pope. The visit was roundly criticized by the British press and vehemently opposed by one of the new-atheists, Richard Dawkins. 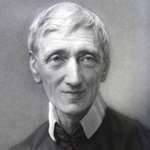 But a centerpiece for the visit of the pope was the beatification of John Henry Newman. Newman was born in 1801 and died in 1890, and through that long and fruitful life, he became an influential, if often controversial, voice for the religious life of England and Europe. He sought to tilt the Church of England toward Rome, precisely because he felt the pressures in culture away from spiritual life altogether. In all of his writing, I find Newman’s reflections on the university exceedingly interesting. In 1852, Newman was instructed by the pope to go to Dublin to define there the purpose and vision for a Catholic university. Give us a university, the pope said to Newman in so many words, for Catholics, a university that can match the stature that the great Oxford University has for the Protestant world. And so Newman delivered a series of discourses in Dublin that are without question among the finest statements ever written on the nature of the modern university (these extraordinary lectures are collected in the book called The Idea of a University). Woven through the pages of the book, Newman engages the very question that interests me so much: How in the world, even in 1852, do we embrace the Christian story in a world already grown suspicious of all authority? And then the follow on question: What place, if any, should theology, and the study of the Christian Scriptures, have in this new, modern university? Newman begins by saying that “it is the fashion just now, as you very well know, to erect so-called Universities, without making any provision in them at all for Theological [faculty].” He cannot imagine this is a good thing, to say the least. This “seems to me an intellectual absurdity,” Newman says. “Religion is excluded from a University course of instruction,” he opines, “because it is … considered [merely] a taste, sentiment, opinion, and nothing more?” “In a state of society such as ours, in which authority, prescription, tradition, habit, moral instinct, and the divine influences go for nothing,” it is almost impossible to find a great university where theology is the animating heart of the educational enterprise. Remember, this is 1852. Newman saw it coming, the great secularization of the academy. He knew with great certainty that dropping theology out of the “circle of knowledge” of the university was to “impair the completeness and … invalidate the trustworthiness” of all that is taught in the university. There is so much more that can be said about Newman’s view of the university, but these thoughts may suffice to get us thinking about the soul of the university in our own day. May God give us all a peace and strength to your ideas. Religious universities are source of joy and peace. “Newman saw it coming, the great secularization of the academy.” This is also happening at Catholic hospitals. Being viewed as a man of faith is no longer a desirable trait accepted by society.